It feels good to be bad! Will Smith, Jared Leto and Margot Robbie star in SUICIDE SQUAD, based on the characters from DC Comics. Assemble a team of the world’s most dangerous, incarcerated Super Villains, provide them with the most powerful arsenal, send them off on a mission to defeat an enigmatic insuperable entity, and become the worst, heroes, ever! 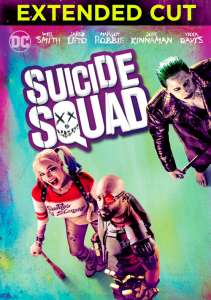 Own SUICIDE SQUAD on Blu-ray, DVD and Digital HD now. Register below your your free copy!